Lot:3033 1883 Three-Dollar Gold Piece. MS-63 (PCGS). 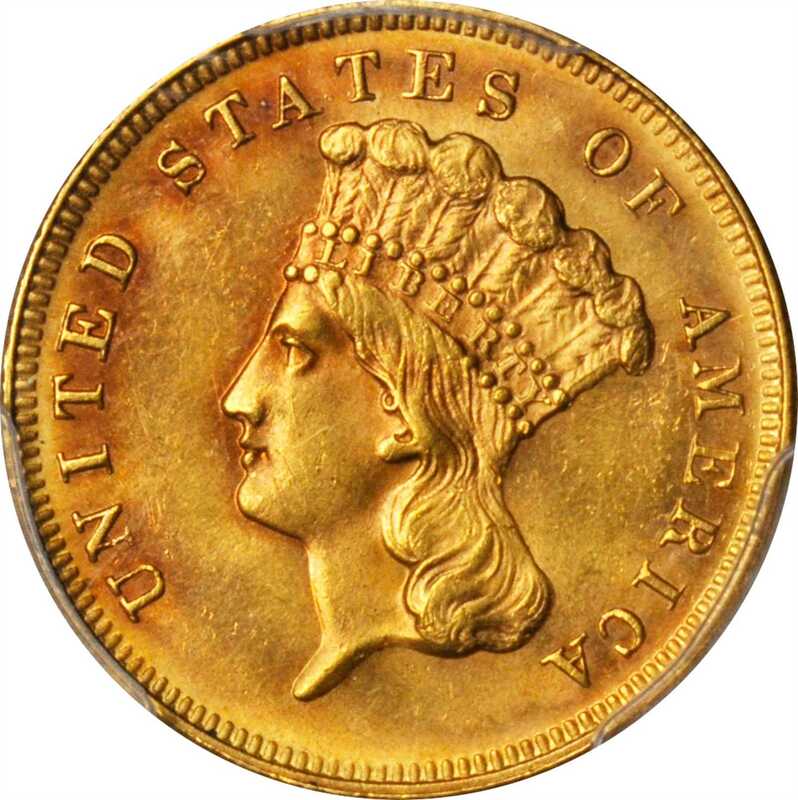 1883 Three-Dollar Gold Piece. MS-63 (PCGS).Playful reddish-rose iridescence drifts over a base of deep orange-gold patina on both sides of this handsome piece. This is a sharply struck, satiny example with an uncommonly smooth appearance in hand relative to the assigned grade. Only 900 examples of this denomination were struck in 1883, all delivered on December 15. Despite the limited press run, a couple of hundred survivors are thought to exist. Just about half of these are Uncirculated, most of which reside at the lowest end of the scale, placing considerable pressure on examples at the Choice Mint State level. Clearly this is a superior representative of one of the most instantly recognizable key date issues in the challenging three-dollar gold series.